Reputation as Property: Perspectives from Tort and Property. Organised by the Trinity School of Law. How can tort law account for the harm of defamation? One answer to this question is to argue that our reputation is or is like property. While this analogy may make sense to tort theorists, particularly those seeking to give an internal account of tort law, it may not make sense to property theorists. In addition, it is not clear whether this approach fits with the case law. 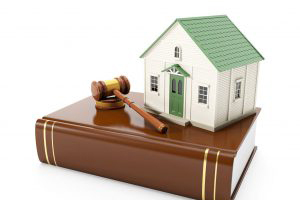 Whether or not thinking about reputation as property makes sense raises the question of whether tort law theory understands property differently than property theory does. It also raises the question of whether the theory of the tort of defamation fits the case law. In what ways does it make sense to think about reputation as property, and in what ways does it not? In this workshop, we seek to bring together property and torts scholars to discuss both theoretical and doctrinal approaches to the question of whether reputation is property or not. We are interested in examining the contexts in which reputation as property already exists as an accepted doctrine – such as corporate and commercial law, where it takes the form of goodwill – and whether this understanding can be transferred to other areas of law, such as privacy and data protection law, and whether ‘property’ is the right term for the value of reputation. Our goal is to think through new understandings of reputation and how harm to reputation can be accounted for by law and how (or if) these can to lend coherence across different areas of law. Eoin O’Dell (TCD): If injury to reputation is damage to property, what should the damages be?